Praesidium is the most prosperous city-state in the world, due not only to its location at the mouth of a great bay, but also to its strict laws, stringently enforced. Ordinary criminals become bond-slaves, but the Wizard places traitors in Stasis, a dreamless frozen state. Ennek is the Chief's younger son. He has grown up without much of a purpose, a man who cannot fulfill his true desires and who skates on the edge of the law. But he is also haunted by the plight of one man, a prisoner for whom Stasis appears to be a truly horrible fate. Ennek, the son of Praesidium's chief, has rescued Miner from a terrible fate: suspension in a dreamless frozen state called Stasis, the punishment for traitors. As the two men flee Praesidium by sea, their adventures are only beginning. 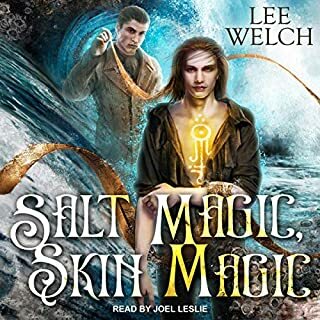 Although they may be free from the tyranny of their homeland, new difficulties await them as Miner faces the continuing consequences of his slavery and Ennek struggles with controlling his newfound powers as a wizard. 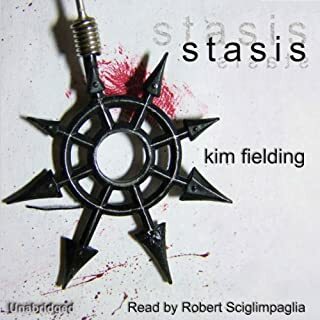 In this sequel to Stasis, the fugitives encounter challenges both human and magical as they explore new lands and their deepening relationship with each other. Part 2 gets our heroes into more trouble! 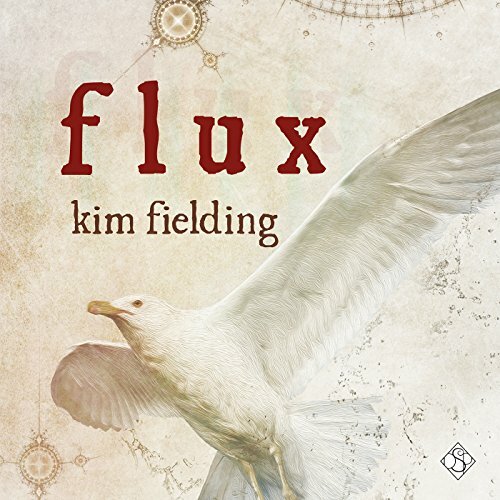 What did you love best about Flux? This is part 2 of a trilogy. I enjoyed the first book, despite the terrible narration. The story gets our heroes into more dangerous situations as their love grows. Kim Fielding adds new characters and another country for our heroes to adventure into. The writing was very good and the story was intriguing, keeping my interest throughout. I can't wait for Book 3! I really enjoyed the parts where Ennek and Miner stayed with a family in their new found land, despite the language barriers. The sweetness of the ladies who realized that Ennek and Miner were lovers and welcomed them into their homes, one of whom even paints a picture of the two of them holding each other that captures the beauty of their love. Also, we have Ennek's Wizard powers developing, but he is still connected to his mentor, Thelieus, despite Thelieus being in stasis. This allows him to tap into Theliues's powers. He is still kind of a loose cannon and does some bad things, but you'll have to listen to find out what those are! No spoilers! Thank God for Joel Leslie taking over the narration! I hope he does part 3! Joel adds such depth and life to every book he has narrated. He is able to do just about any voice and any accent with a realism that is just right for that particular character. He becomes those characters. Yes, I would have liked to, but too long! I have a one hour drive each way to work and back, so I listen in the car and get roughly two hours listened to per day, so most books are done in a week or so. I will also listen at home before bed for half an hour to an hour. 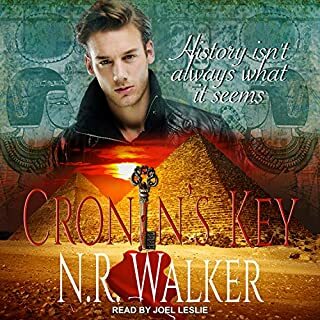 Since I don't know when Book 3 will be available on audio, I will add the next to my ebook collection so I can see where the story goes next. I can't wait that long until it's out on audio! So good I loved it better that the first. I love Joel Leslie performance . This book has been frustrating because The main characters how is written to act loosely whenever they walk into a dangerous situation. So dark and compelling - excellent! Wow. Kim does not want to let these guys catch a break! Ok… That’s not true. She does. But she sure makes them work for it! We left our guys escaping from Praesidium and poor Miner having to endure living on a boat while he’s terrified of water. Well, he sure overcomes that! As though it weren’t enough – all they’ve endured – in book two our poor MCs meet Pirates, evil slave masters and yet another evil magic user! One thing that remains and, in fact, grows stronger, for these two – their love and respect for one another. That alone makes this an amazingly touching story to experience. Thank goodness for the narrator change! Joel Leslie brings this series to life! 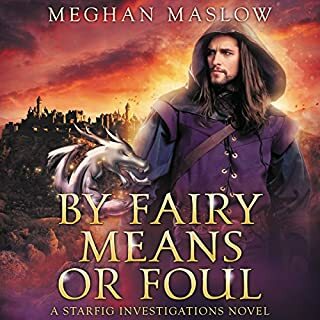 From an interesting, but maybe not quite so magical story (with the narration of book one) to a fairy tale full of captivating and enthralling characters. As fits with the “fairy tale” style, Ennek and Miner are given sort of British accents that absolutely suit them. Throughout their visits they encounter various peoples and Joel gives them their own unique accents to really bring home the “travel” and “exotic” nature of this part of the series. I LOVED the accent he chose for the evil magic user near the end – Akilina – it suited her perfectly! This is ABSOLUTELY the best way to experience this story as it really adds some color to Kim’s dark tale. This is absolutely a must for fans of book one, and this is a series that must be read in order.